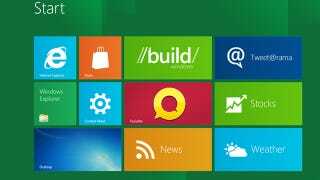 Is Microsoft Killing Zune and Windows Live Apps In Windows 8? The Verge reports that Microsoft Zune and Windows Live apps will not be included in the upcoming preview of Windows 8—at least not the way we're used to seeing them. Though the brands and apps will be gone, their functionality will be included in other parts of the OS. The face of all of Microsoft's multimedia apps will lose the labels and take Microsoft branding across platforms, if they take any branding at all. Windows Live applications have been rolled into preinstalled apps that work as the core "Windows Communications" applications for Windows 8, and this lack of Windows Live branding is only the tip of the iceberg. "Microsoft Account" will replace Windows Live ID in Windows 8, and the software giant has also removed traces of Zune from its Windows Store, Music, and Video applications, although Zune Pass functionality remains.